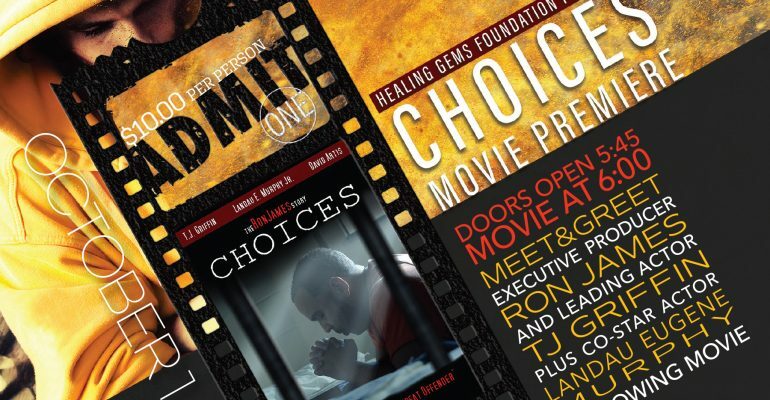 “CHOICES” movie premiere and talk back after the movie with Ron James, TJ Griffin and Landau Eugene Murphy, Jr.
October is SUBSTANCE ABUSE AWARENESS MONTH! Substance abuse and substance abuse overdose deaths are at an unprecedented epidemic both locally and nationally. Families are feeling overwhelmed and depleted due to this epidemic and our systems are feeling at a loss on what to do. Even our lawmakers are making addressing this problem a top priority. We are offering a message that change is possible and never too late! 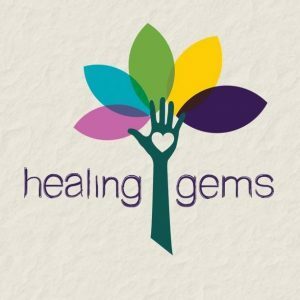 Healing Gems Foundation- a uniquely, new non-profit project of The Foundation for Enhancing Communities, TFEC, is collaborating with Your Choice Foundation and V.I.S.I.O.N. 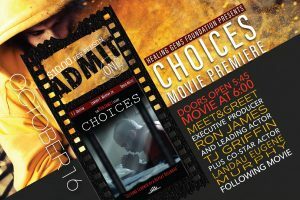 program to bring CHOICES a movie premiere, to our community. This is an inspiring movie that chronicles one man’s personal journey through 25 years of addiction and incarceration, resulting in an awareness that recovery and change are possible. 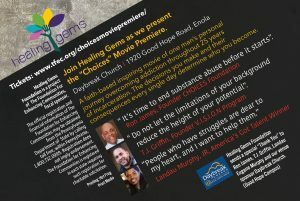 Additionally, we are fortunate to also be able to offer a “talk-back” after the movie with Ron James (who’s story inspires the movie), TJ Griffin (lead actor in Choices and founder of V.I.S.I.O.N program, a local mentor and a motivational speaker for youth), and Landau Eugene Murphy, Jr (actor in Choices and 2011 America’s Got Talent winner). 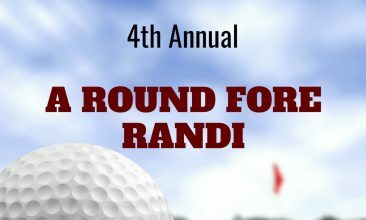 Each of these men represent challenging pasts and abilities to overcome odds, including addiction, illegal behaviors, poverty and homelessness. Their messages are inspiring and motivating! 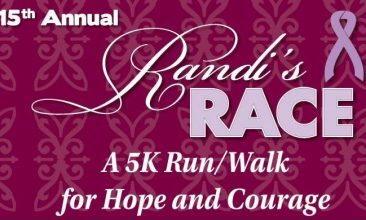 Tuesday, October 16that the Daybreak Church (1920 Good Hope Road) in Enola. Doors open at 5:45 PM, movie begins at 6:00 PM. Talk-back begins immediately following the movie premiere. Click here for ticket information.